We can now offer you the ultimate vehicles with the choice being yours!! 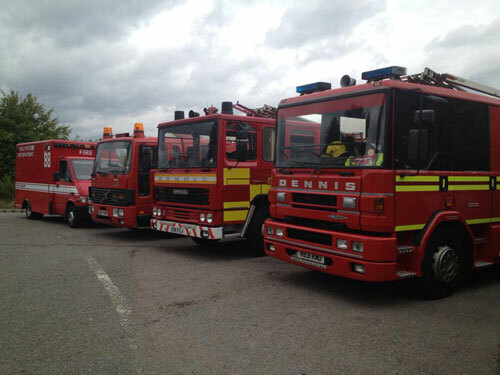 The Dennis Fire Appliance is legendary having served for the uk fire service for many years. 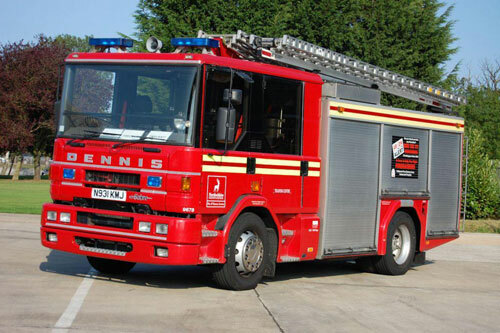 Our Dennis is the latest fire appliance and no different to what you would find in any fire station. 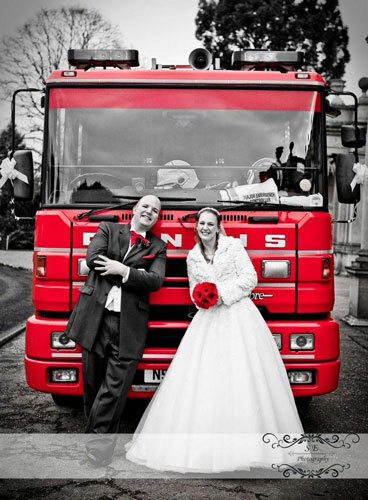 Whilst keeping the authentic feel of a real fire engine we have carefully chosen our vehicle for the very large passenger compartment to offer a truly awesome way to travel. Fitted with a quality sound system and latest led lighting, along with real leather interiors for pure luxury. 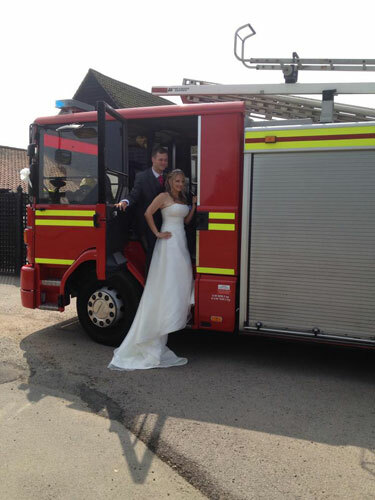 And yet it still gives you the feel of being in a fire engine on duty with the added bonus that during your hire you can blast some water from the hose for those all important photos!! 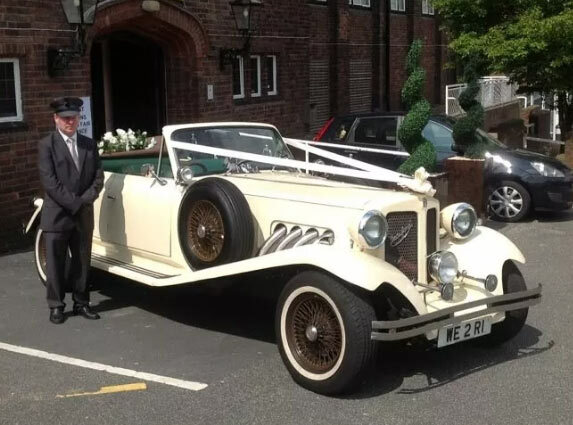 Our vehicle is unique in the fact its unbranded so its look is very original and not like a moving advert, this makes its truly ideal for many kinds of hire. Prices vary according to distance and time. Each and every quite is based on the details of the booking. 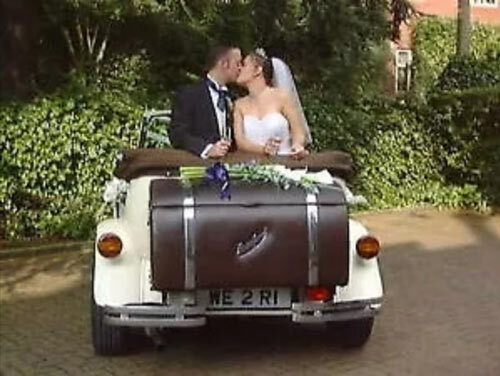 Our evening hires start from £150 and children's parties start from £99 based on local locations. Is it a real fire engine? 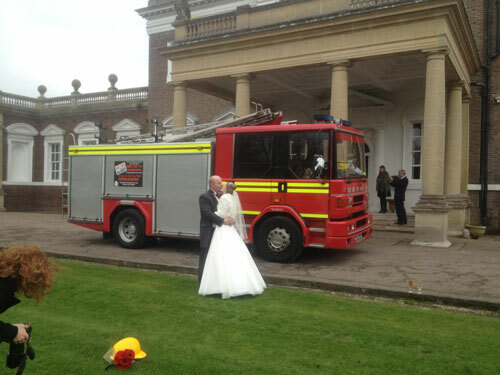 How many people does the fire engine hold? The Fire Engine carries 8 paying passengers. 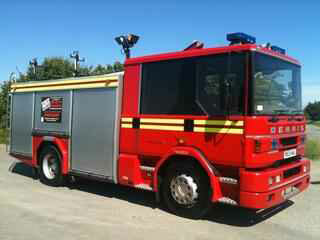 For children's parties this can be up to 7 children and 1 adult. Although there is ample space for more passengers, road traffic regulations stipulate that you can carry only 8 passengers. This is not flexible. Other companies carry more than 8 passengers, Why dont you? limousines are all restricted to a maximum of eight passengers no matter how large the vehicles are. There are NO exceptions to this rule. The reason for this is that to carry more than eight passengers the vehicle has to be registered as a Public Service Vehicle (PSV) and have a Certificate of Initial Fitness issued (COIF). However NONE of the American limousines, (Including the large 4wheel drive Navigators, Escalades, Excursions, etc) comply with the requirements and are therefore restricted by law to a maximum of eight passengers. It is in every ones interest to ensure that the paying public are protected from unscrupulous operators. 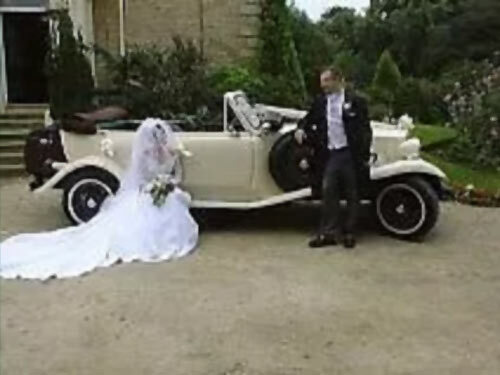 In the event of an overloaded, unlicensed limousine being involved in a serious or fatal accident, the repercussions could be drastic and the ultimate losers would be the customers and the bona-fide limousine operators. Can we smoke on the vehicle? 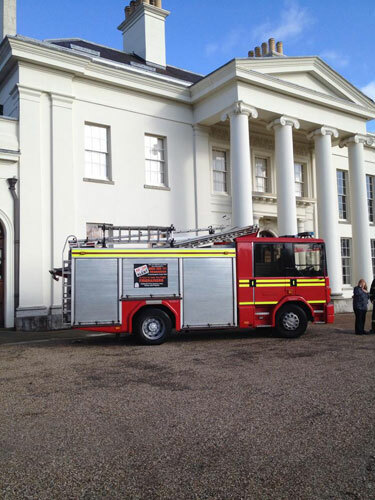 Hot-Hire fire engine limousines are available to hire in Essex, London, Herts and Kent.